Allen left for a while in 1967-1968 -- partially as a result of differences regarding selection of performance material and partially to pursue a career in acting with the Dublin High Drama Club -- and was temporarily replaced by a church choir organist with no rock music experience whatsoever, either as a listener or a player. The young misfit/miscast keyboardist's name was Lewis Smith. The Tanners and Tom convinced Lewis to perform wearing a flowerpot for a hat, wearing Nehru jackets, with flowers attached to his buzz cut hair. They encouraged him to perform tunes like "The Marines' Hymn," "Dixie," and other audience-torturing songs during the band's increasingly infamous performances. Lewis's obvious discomfort with his rock band experience was betrayed by a highly visible and unhip facial twitch that plagued him throughout each performance. 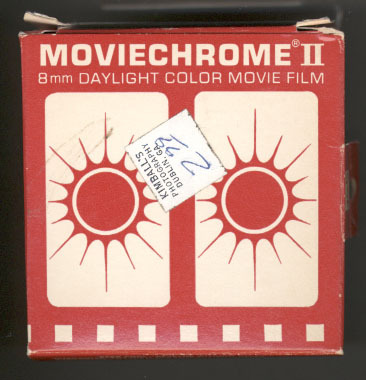 During this time, the band began to use color wheels, strobe lights, exploding cherry bombs, sulfur bombs, and home movies projected onto a bed sheet behind the band members as they played. 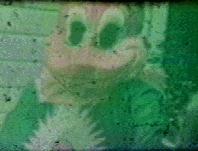 Still frame from an old home movie featuring young Blair in a Woody Woodpecker costume. The short sequence was spliced into a larger, more recent film created by The Ancestors for display during their legendary performances. The band's set list was made up of songs by The Who ("Whiskey Man," "I Can See for Miles"), The Doors ("Light my Fire"), Sgt. Pepper-era Beatles (title cut, "With a Little Help From my Friends," "When I'm Sixty-Four," "Magical Mystery Tour"), Mothers of Invention ("Status Back Baby," "Motherly Love") and oddball novelty numbers such as "Bill Bailey." The band also used prerecorded tapes of bad local radio commercials between songs. All of this was largely viewed with disdain by their shrinking audience of young Dublinites. Click here to download and play "Christmas Greetings," recorded circa 1970 at WMLT Radio, Dublin, Georgia. Improvised by Tom Patterson, Allen Tindol, and Edward Tanner, the recording initially features the original Ancestors (1966) rendering their instrumental version of "Positively 4th Street" in the background. Next, an Elvis musical backdrop supports a whimsical takeoff on the Dublin Police Department's radio commercial invitation to their annual Christmas Party for "all my little friends -- 12 and under -- at the Dublin City Hall." 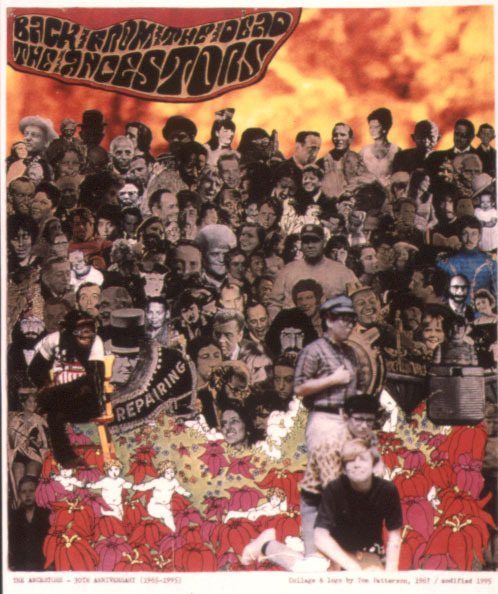 One of The Ancestors' promo posters from this period, designed by Tom Patterson, and featuring Blair, Tom, and Edward in a Sgt. Pepper-like setting.